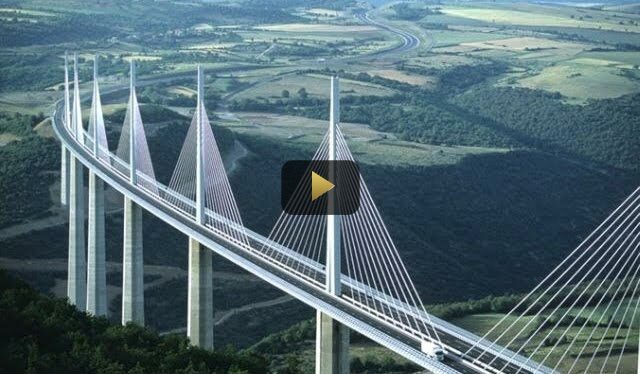 Located in Southern France, the Millau Viaduct is the tallest bridge in the world. Constructed in three short years, the bridge is an engineering and architectural marvel. At its highest point, the bridge soars 343 meters (1,125 ft) above ground, that's 19 meters (62 ft) taller than the Eiffer Tower! Watch this exclusive Nat Geo documentary to know more about the bridge.